The adventure begins in this exciting new chapter book series, complete with a do-it-yourself science experiment! 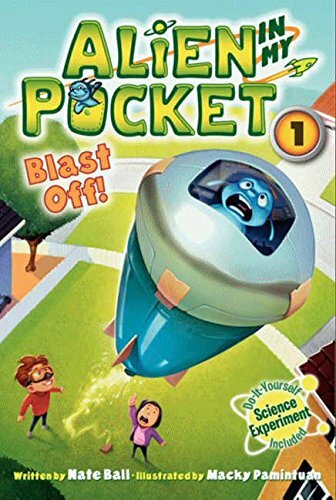 When a four-inch-tall alien crash-lands through Zack McGee’s bedroom window, Zack is sure he’s about to become the first victim in a new War of the Worlds. But when the alien turns out to have weapons that are more ticklish than terrifying, Zack realizes that rather than protect the world from the alien it’s up to him to protect the alien in his pocket from the world. With illustrations on every spread, a how-to on launching a rocket, fun scientific facts, and the hilarious adventures of Zack and Amp, this book is the perfect gift for any young reader!